When you’re going to buy a new computer, the main question that raise is what CPU to choose. Dual-Core? Quad-Core? i3, i5 or i7? In this post I will review the various models of Intel processors. Intel is now popular and has the market-leading processors. AMD competes with Intel processors, but less common, and therefore you will usually find more Intel processors than AMD. The most popoular series of Intel processors is Core i which divided to a three main processors: i3, i5 and i7, gradually, starting from the low-end and cheap processor in the series to the most poweful and expensive one. The number doesn’t indicate the number of cores, but the level of the performance of the processors so gradually the i3 processor is the cheapest and has the lowest performance level from the three. i3 processor will suit for users who doesn’t need high performance, and use their computers for web browsing, reading emails and Office programs. i5 gives a more processing power and can suit for graphics (Photoshop), light video editing, games and more. i7 is the most powerful processor in the series and has the highest level of performance and it suitable for heavy use such as programs that require high data processing, professional video editing, heavy graphics and games, digital audio workstations and more. Each processor have different specifications such as core numbers, Cahce size, Hyper-Threading technology that simulate multiple cores in the system, Turbo Boost and built-in Intel HD graphics. 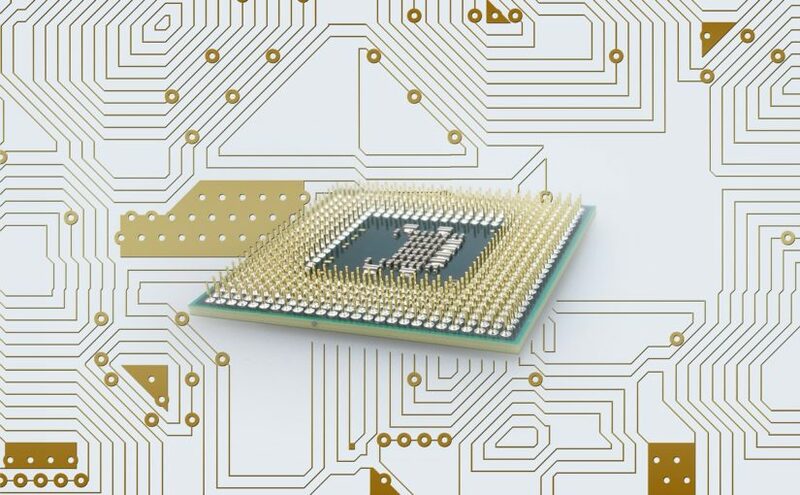 You can compare the numbers of cores in the processors as same as helping hands, just as there are more hands can be useful in certain jobs , more cores can benefit to divide the processing process of the CPU with softwares that know how to use it well. A higher number of cores will benefit to multitasking of several programs running in parallel. There is a significant performance improvement between a single-core processor to a dual-core processor for even a basic user when the computer is being used for reading mail, you can run in the background anti-virus scanning or compress a ZIP file. With Dual-core processor, the improvement will be about 70% more than single-core processor, but adding more cores will not necessarily increase significant the performance, it will just happen with a softwares that know how to handle it well. The basic level of processor that is common today has at least Dual-Core processor while on a desktop computer is also common to find a Quad-Core processor for those who need high performance level. There are also high-level processors with six cores and 12 cores (Intel Xeon) designed for workstations and servers. Processor speed is measured in megahertz (GHz) represents the number of clock rounds (calculations) that the processor can execute per second. The clock speed of 2.7GHz means 2.7 billion calculations per second. Generally higher clock speed will lead to calculation and processing will be faster. The processor speed is not the only index to compare CPU performance, old processors might be with an higher clock speed, but not as effective as the new series processors even if the clock speed is reduced on those, and another fact is the processor type and manufacturer. Turbo Boost is a techonology of Intel that exist in i5 and i7 processors. The processor adjusts the clock speed and boost it just when needed so it avoid waste of power or unncessary heat. In i3 processor, this feature doesn’t exist and the processor always running at a fixed clock speed. Hyper-threading is Intel technology that designed to simulate and double the number of cores so the operating system will treat to a dual-core processor as a quad-core, and it can divide the processes of processing on individul processor. I3 processor that has two cores will become 4-core while i7 processor who has quad-core will be displayed had 8-core in system. You can see a 17% improvement in performance with hyper-threading feature. It’s doesnt improve the speed but the efficiency of processing. I3 and i7 processors include this feature but surprisingly i5 processor doesn’t include it, it seems as a marketing trick of Intel to give the user the need to choose i7 processor. The cache memory is a small memory unit that embedded inside the processor and has role in storing information during the processing, the data access from the processor cache is much faster than accessing the RAM, which leads to higher performance. The cheapest i3 processors in the series have 3MB, for faster ones 4MB, while i5 has 6MB, i7 processor has 8MB of memory. Difficult to compare how much cache affects the performance of the processor especially when there is difference between the number of cores. This parameter is irrelevant to the specific level of processor that you check. Intel Core series processors include a built-in GPU that called Intel HD graphics and actually replaces the external graphics card in the past, and planted in the processor itself. For those who use the computer for basic uses, they can be satisfied with the built-in GPU inside the processor. But of course you can add more powerful graphics card than what existed in the processor and most users will be chosen to do this especially those who use graphics, video editing and gaming. Processors i5, i3 and i7 processors differ in the type of integrated graphics and gradually i7 processor has the best graphics processor from all. You should aware that most of the processors for laptops (with the letter U in the end of the model; for example: i7-6500U processor or I5-5200U) are redcued power versions that give a balance between low-power consumption and performance. The desktop processors provide the highest performance. In addition, the majority of processors for laptops will offer just dual-cores include i7 processor, yes indeed, only two cores, however it still gives good value for high performance and relatively low power consumption. But for those that require it, despite the fact that there is high battery consumption, there are Intel processors like HQ (eg I7-6700HQ) with four cores that provide extremely high performance to those who need them. There are a series of additional processors which also named M processors, there are three main processors in this series m5, m3 and m7. And also here like in i core series, gradually the processor with the highest speed is m7. These processors are less more powerful that i series processors and from the U processors models that I mentioned above but their biggest advantageis the very low power consumption and they doesn’t produce much heat compared to other processors so they can work without a fan and can suit to ultra-thin laptop computers. For some reason, most manufacturers doesn’t choose to work with these processors. Despite the low clock speed, criticisms and opinions heard, it seems that these processors not fall far from i series in performance and it can fit for users who demand long battery life, that can last over 12 hours in some computer models. K suffix means that the processor CPU model is open (unlocked) to change the settings and to increase the clock speed if your motherboard supports it. Please notice that overclocking may cause instability and even physical damage to the processor. It is important to know how to do this. When you start with overclocking it’s also usually required to have special cooling unit because the processor is expected generate more heart. I3 processor doesn’t has the K models and can’t be overclocking (just few but they are not common in the market). T suffix indicating processors with ultra low clock speed that can doesn’t generate much heat or consume much power. Often you will find them in very small computer, they are not common in the market. P suffic indicates a processor with low-end intergrated graphics unit. Please note that apart from the parameters I mentioned in this post, the most important parameter is the generation of the processor. Very common today are the sixth generation processors (Skylake) but we are starting to see more shops to have the seventh-generation processor (Kabylake). Therefore, the newest generation processor will be the best choose. The dilemma in choosing the processor is not particularly simple for users who doesn’t have knowledge in the field, but the choice will become simpler when you know your requirement for the near future. It will needless to buy an expensive processor that will not match your requirements and on the other hand would be a mistake to purchase a processor that will not fit for your needs and will be a huge bottleneck in the system. If you have questions about the processors or don’t understand something in the post, feel free to comment and ask me here and I will be happy to answer any questions. Please remember to like and share the post to your friends. I’m sure that this post can help to a lot of people who have diffculity choosing the processor before buying a new computer. For more posts please Follow me on Facebook. Next Next post: Planning vacation? Book flights and hotel yourself and save a lot of money!